The Black Silk Bow Tie will work with any tuxedo and comes pre-tied for ease. The bow tie is an unquestionable staple of men's formal wear. You will more than likely need a bow tie at least twice a year (black tie event, friends/your wedding). 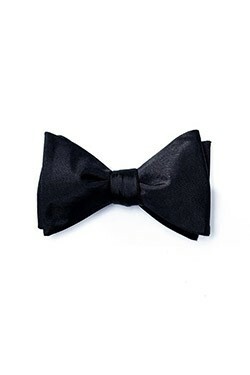 The Black Silk Bow Tie will work with any tuxedo and comes pre-tied for ease.